Wax warmers remind me of my Grandma. She loved candles and wax melts and always had one scenting her home. I had one for years as well. 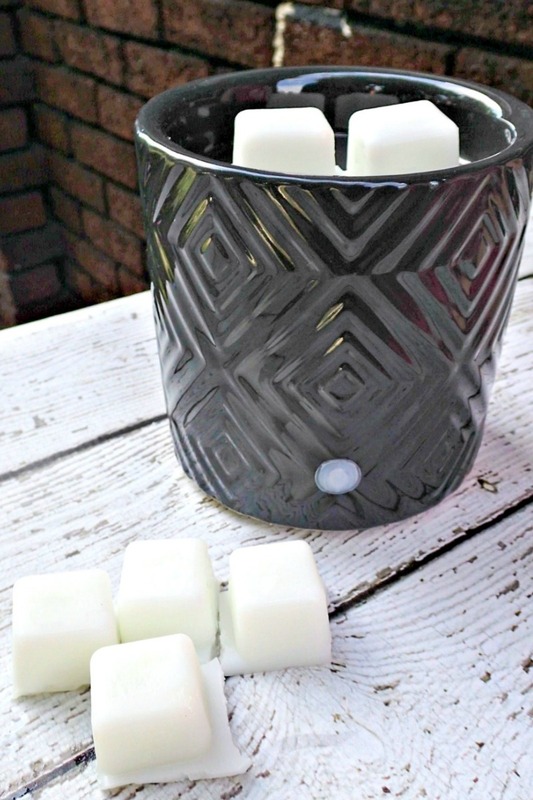 Now, I typically use an essential oil diffuser to scent our home, but wax warmers just seem so cozy this time of year! There are so many great fall scents you can fill your home with using a wax warmer. If you use an electric wax warmer (rather than one heated with a tealight candle), you can let them run all day without risk of fire. Unfortunately, commercial wax cubes are packed with chemicals that can cause all sorts of health issues. If you’re just discovering this fact and you use a wax warmer, you may find yourself worried about your family. Fortunately, there is a completely safe and even edible option for you to keep using a wax warmer. 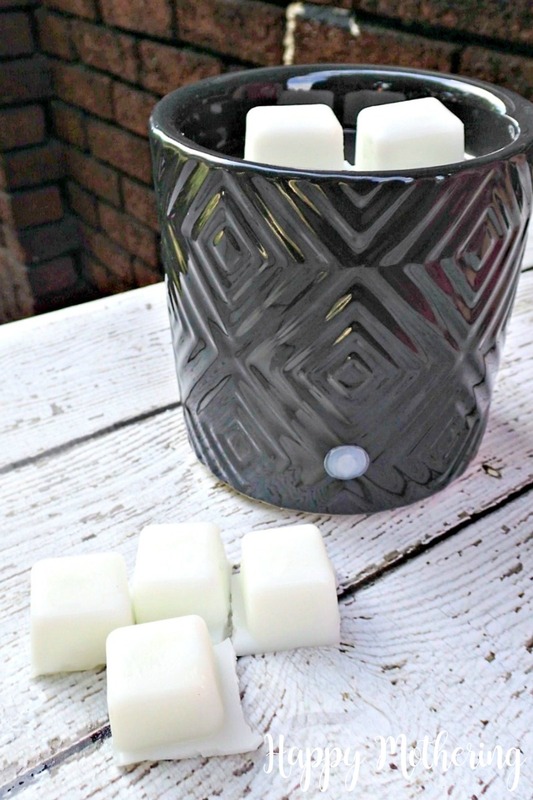 All you have to do is make up a batch or two of these all natural edible wax warmer cubes. They’re super easy to make and you can scent them however you like using essential oils or natural flavoring oils. I love this option because if your little ones happen to get their hands on them and eat them, it’s totally safe! All they’ll get is a serving of coconut oils, which has tons of health benefits, and natural flavorings. Essential oils, food extract or candy flavoring oils. Get creative and try something fun like root beer concentrate or cotton candy. Add the coconut oil to a double boiler and heat until melted. Mix 1/2 teaspoon of your favorite food extract or candy flavoring oil into coconut oil (or alternatively use can use 20-30 drops of essential oils). Pour into your upcycled or new wax melt mold. Place the mold in the freezer until it’s solid and firm. Store your wax melt cubes in an airtight container in the refrigerator until you’re ready to use them. 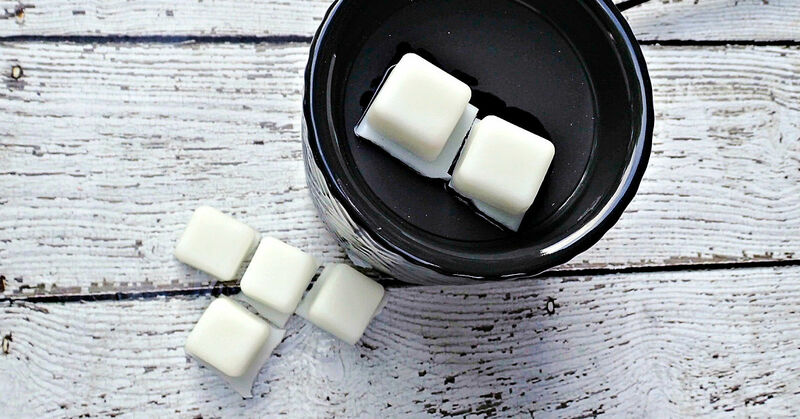 What are your favorite scents to use in homemade wax melts? I love this idea and a great gift idea for sure. I love looking around your lovely blog and I would love it if you would share a few of your post at a link party I am co-hosting tomorrow, Sunday at 4pm eastern time. I hope to see you there. Have a great week. You don’t use any paraphern? I don’t understand. Paraffin wax? No, it’s toxic to breathe in. Winter solstice blend. 15 drops juniper berry oil, 15 drops frankinsence oil, and 9 drops peppermint essential oils. Very calming and warm fragrance. I have another one for soy wax melts: https://www.happy-mothering.com/10/crafts-diy/grapefruit-oil-scented-wax-melts/. You can use any scents you like, but I’m not sure you’re going to find something that’s natural and tropical scented. Those scents are usually completely artificial.